The Famous Grouse has raised £600,000 to support efforts by the Royal Society for the Protection of Birds (RSPB) to protect the endangered grouse species in the UK. The Scotch whisky brand first partnered with the RSPB charity in 2008 – which also marked the launch of The Black Grouse, recently renamed The Famous Grouse Smoky Black – and pledged to donate 50p from every sale of the new expression to the RSPB over a three-year period. The partnership has continued ever since. This money was earmarked for use across four conservation reserves, including Inversnaid and Corrimony in Scotland; Geltsdale in the North of England; and Lake Vrynwy in Wales. Over the years, Abernethy near Aviemore and The Crannach on Deeside have also benefitted from the work. 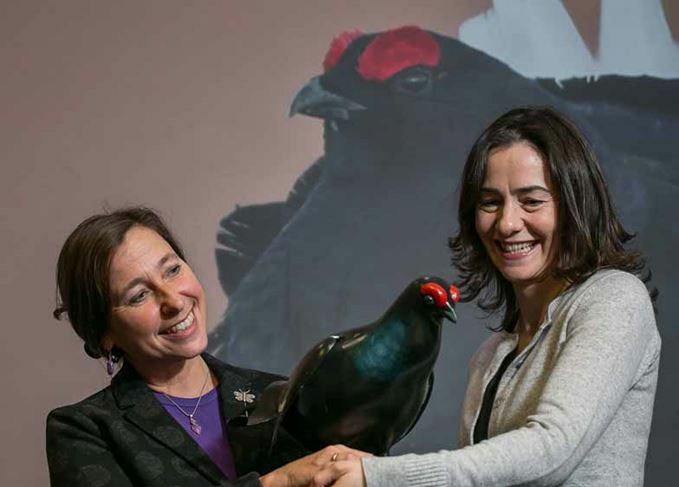 At the start of the collaboration, the grouse bird was listed on the UK Red List Species of Conservation Concern and named as a ‘priority’ on the UK Biodiversity Action Plan (BAP), as well as the Scottish Government’s Species Action Framework. Stuart Housden, director of RSPB Scotland, said the main reason behind the fall in black grouse numbers was degradation and fragmentation of moorland and woodlands. The investment of time and money by both parties appears to be paying off, with the lek (a traditional site where males display and make their mating call) count for 2016 in Corrimony reaching 45 males – an increase from 28 males in 2013. Funds from the partnership have enabled the charity to improve the birds’ habitats across 85,000 acres of nature reserve land, as well as planting 185,000 trees and mowing 30 hectares of heather. Suzy Smith, marketing director for the Famous Grouse, said: ‘It was a significant achievement to break the £100,000 mark by 2010 and we are proud to have continued to work with RSPB and to have now raised over £600,000. Housden added: ‘This funding has enabled the RSPB to work in partnership with Scottish National Heritage and Forestry Commission Scotland to review and provide best practice advice on the habitat requirements for black grouse to encourage private landowners to help this iconic species. Two 90+ pointers from Adelphi, The Famous Grouse’s Cask Series, plus Tomatin Moscatel finish. The new range of ‘everyday premium’ blends are designed to highlight cask character.